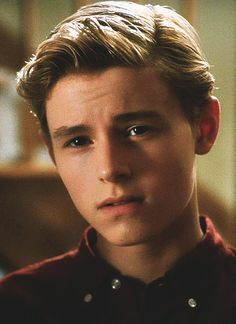 Callan McAuliffe is an Australian actor of film and television. He is best known for his roles as Bryce Loski in the 2010 film Flipped and as Sam Goode in the 2011 film I Am Number Four. He played young Jay Gatsby in the 2013 film The Great Gatsby. In 2017, he began starring on the AMC series The Walking Dead as Alden. Born Callan Ryan Claude McAuliffe on January 24, 1995 in Clontarf, Australia, to Claudia Keech and Roger McAuliffe, two of his grandparents were Irish. He attended Scots College, an all boys school in Bellevue Hill. He began his acting career at the age of 8, appearing in the Australian television series Comedy Inc. and Blue Water High. He made his American film debut with the romantic comedy-drama film Flipped (2010). *He was born on January 24, 1995 in Clontarf, Australia. *He was the head singer in his school’s choir. *In November 2013, he became National Ambassador for UNICEF Australia. *He was the Youth Ambassador to The Wolf Connection.